Teresita Banez completed her Master of Science in Nursing with a concentration in Anesthesia at Georgetown University. She performed research on the Prevalence of Herbal Usage among Minorities and the effects of Herbal Medications on Anesthetics. She completed her anesthesia training at Veterans Affair Medical Center, Washington Hospital Center, Baltimore Shock Trauma, and Georgetown University Hospital. 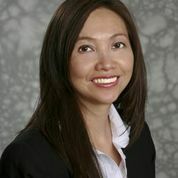 Upon graduating, Teresita worked at Texas Children’s Hospital where she expanded her knowledge of pediatric anesthesia. Moving to Washington DC, she performed cardiothoracic anesthesia for over five years. Teresita was a clinical instructor for Student Registered Nurse Anesthetists at the University of Maryland, Georgetown University, and Walter Reed Medical Center. In 2013, she began working for Town Square Anesthesia as a staff CRNA.